A genuine John Deere #TY16020 Steering Wheel Spinner Knob. Black with classic 1968 leaping deer logo. 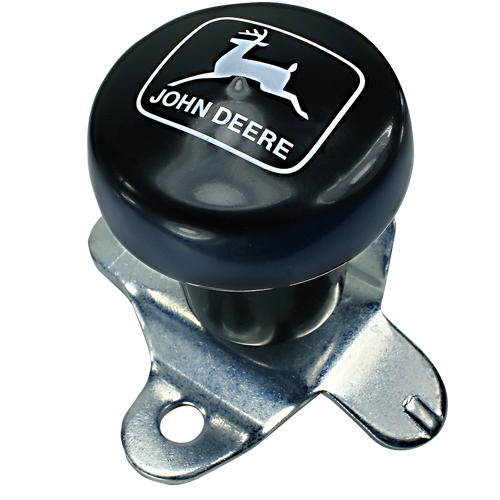 Includes attachment hardware to adapt to many different model John Deere steering wheels. Original Equipment (OEM) part.